Installation - SK-215A11 built-in TV set - Cityboard East Europe Sp. z o.o. 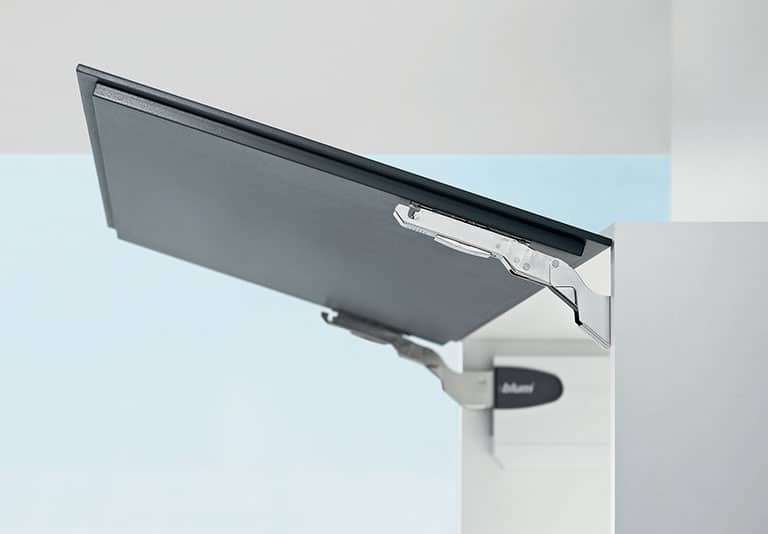 The installation of the TV set opening system elements is very simple thanks to Blum Aventos-HK. Modern solutions ensure easy use and an elegant finishing standard. All AVENTOS HK elements can be easily installed. The locked lifting arm does not scrape the furniture edge. It makes transport much easier. By means of a screwdriver, the actuator can be adjusted according to the front weight. In this way, the tilting front can be stopped at any height. After pressing for a while, the SERVO-DRIVE hinged front doors, drawers and cooling appliances are easily and conveniently opened – regardless of the weight of the drawer or the front door. 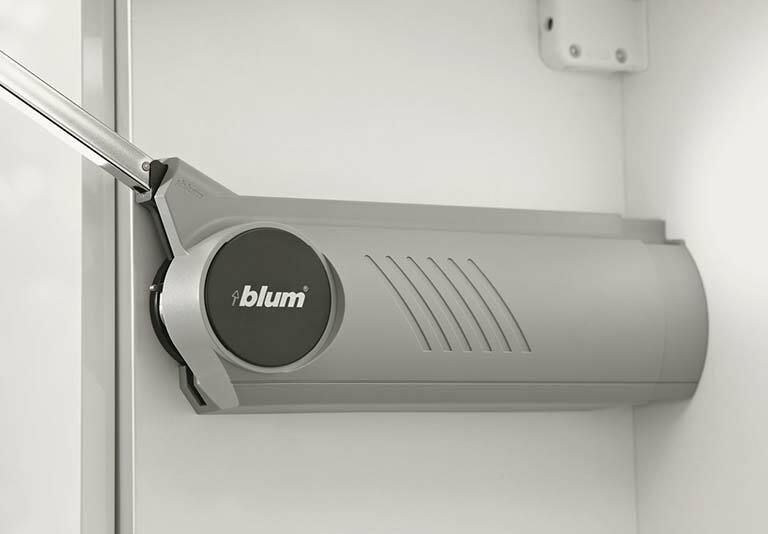 In turn, BLUMOTION ensures quiet and gentle closing. 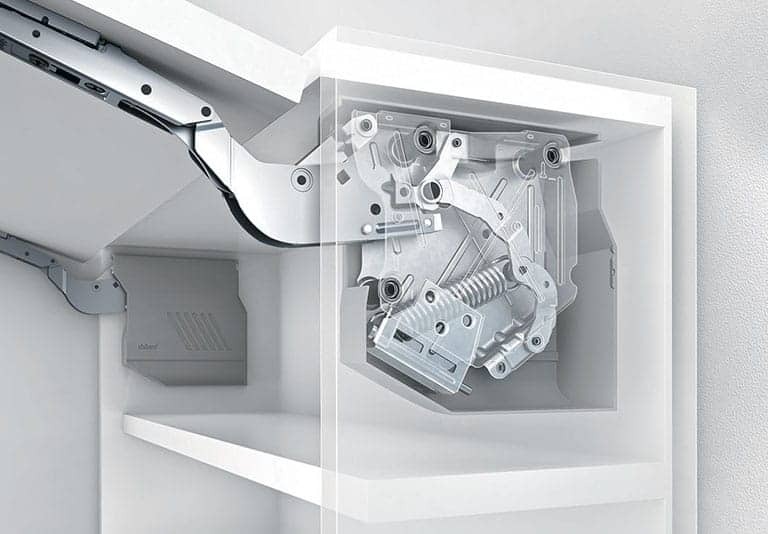 A special plug is necessary to cover the actuator and the drive unit on the left side. 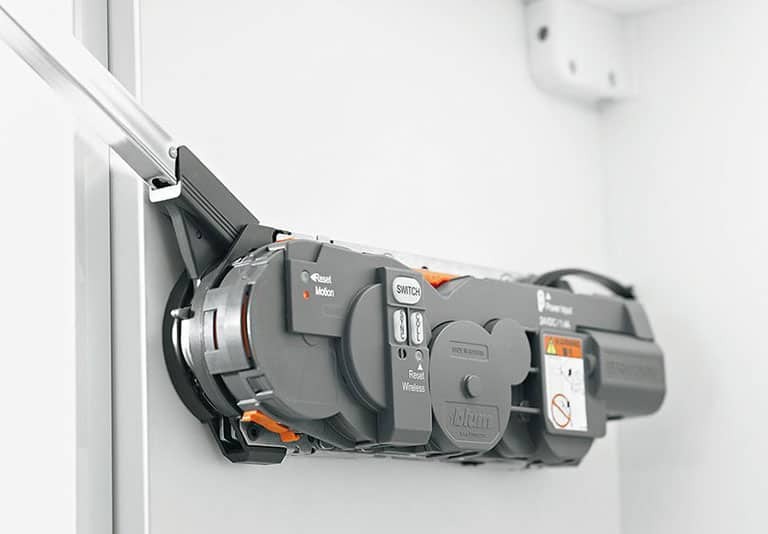 The plug can be spread out to a depth of 350 mm to cover the cable routing.